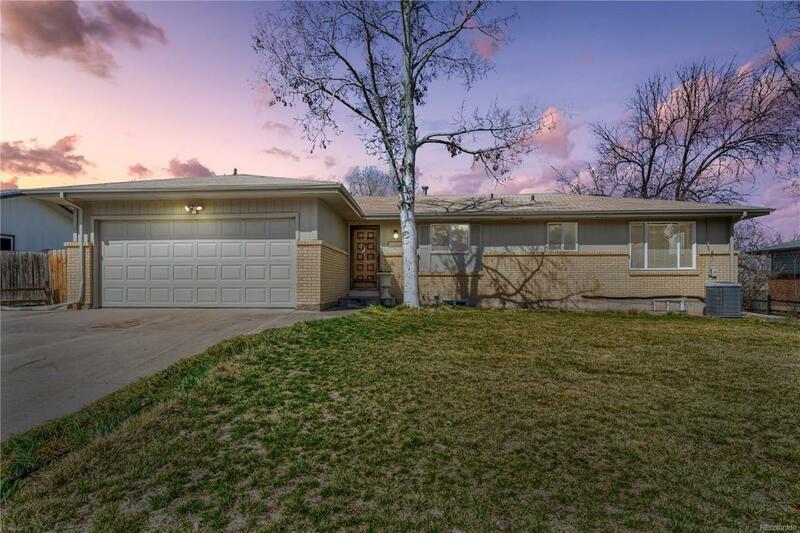 Welcome to this fantastic five bedroom ranch in a great Greeley location backing to a park! A nice open floor plan with handsome hardwood floors welcome you into the home. The updated kitchen boasts new stainless steel appliances, granite counters, full tile backsplash and an island with a breakfast bar. The dining room flows into the cozy living room featuring a fireplace and bay windows. The main floor hosts a bright sun room and three bedrooms including the master suite offering a private bathroom and walk-in closet. Downstairs expands the living space with an expansive rec room, two bedrooms and a large laundry room with extra storage space. Relax on the deck of the fenced backyard and enjoy views of the park. Additionally, the home has an attached two car garage and has seen fresh paint inside and out. Come see it today!